Beauty Easter Eggs are a thing. 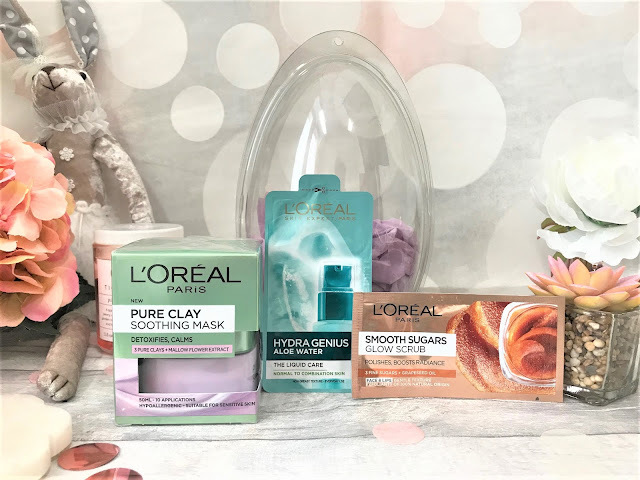 They started being a thing last Easter but I have seen more and more on the market this year and so I ordered myself a few from Superdrug and thought I would show you what is worth getting and how much these are going to cost you. All of these eggs cost £5 and under which I think is a great alternative to a chocolate egg. 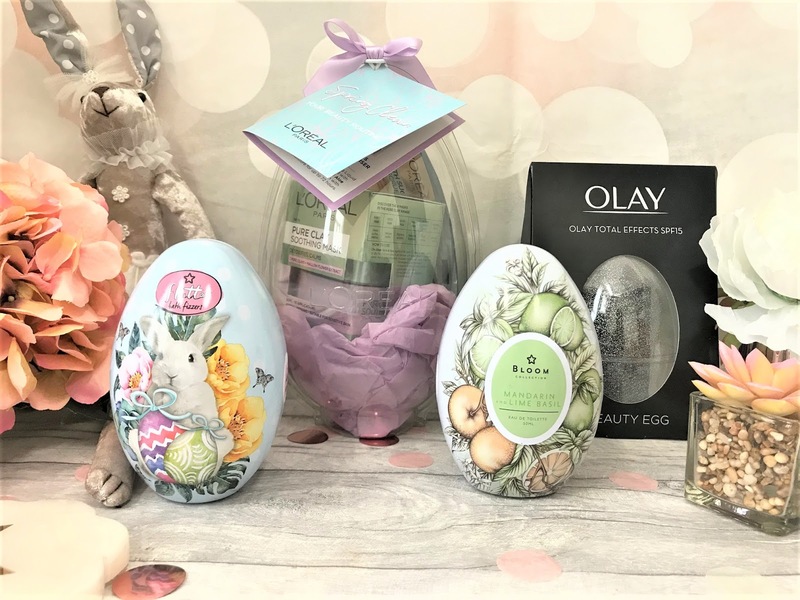 There are beauty eggs out there that are pricier, but I wanted to do a budget-friendly post. 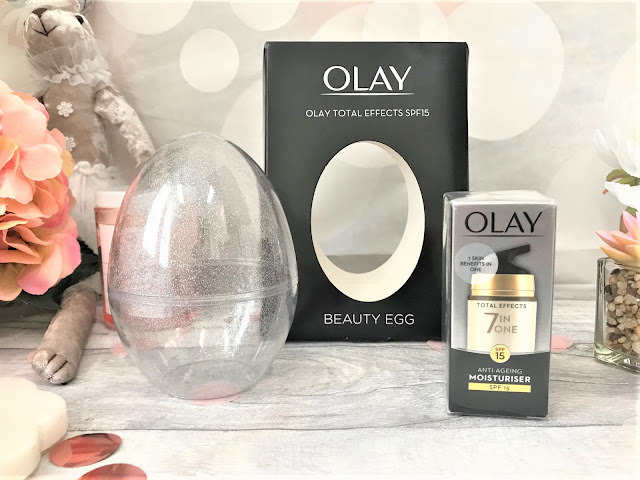 Starting with the cheapest we have the Olay Total Effects Beauty Egg (£3.00), which comes in a box not dissimilar to chocolate eggs. Inside you get a plastic glitter egg which contains 15ml of the Olay Total Effects 7-in-1 Moisturiser. For just £3.00, this makes such a great little gift, and the glittery egg can be re-used too to store things like jewellery or other bits and bobs. We then have the L'Oreal Paris Beauty Egg (£5.00) which is superb value as you receive one full-sized product and too sample sachets. The Pure Clay Soothing Mask is worth £7.99 alone, and I have used and loved it previously. The egg itself isn't reusable, but looks pretty with lilac tissue paper and a pretty satin bow on the top. The sachets included are the Smooth Sugars Glow Scrub and the Hydra Genius Liquid Moisturiser. This makes such a lovely treat for yourself or a loved one. 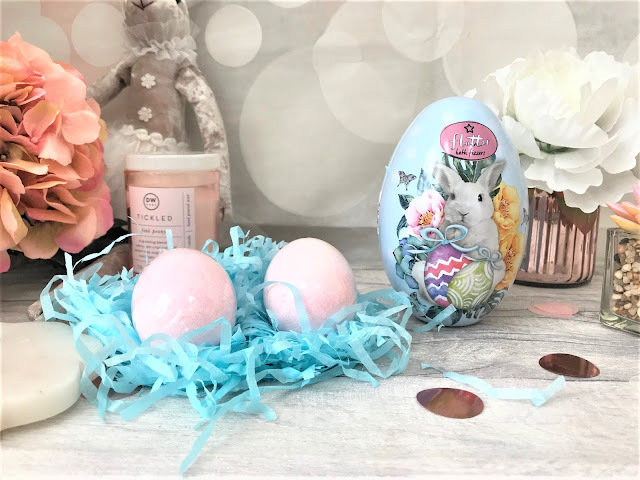 If you know a child who cannot eat chocolate, the Superdrug Flutter Bath Fizzers Beauty Egg (£4.00) is an excellent alternative. The keepsake tin is just so gorgeous, with a little bunny and flowers on the front. Inside you get two pink 70g bath fizzers, and for this whole set you would barely be able to buy one bath bomb at Lush. I actually bought this for myself because I couldn't resist the packaging. 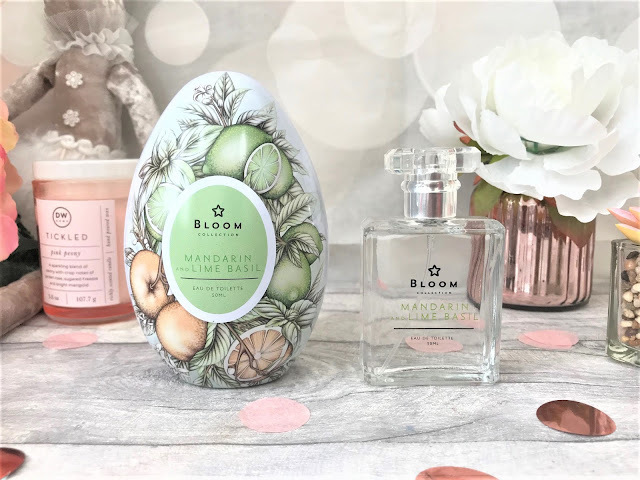 Finally, we have the Bloom Collection Mandarin & Lime Basil Beauty Eau de Toilette Egg (£5.00), which again comes with such a beautiful tin which can be reused. The egg contains a 50ml bottle of the Bloom Collection Mandarin & Lime Basil eau de toilette, which is amazing value. Yes, it looks and sounds a little like Jo Malone, but it is such a classic fragrance that I imagine most people will really enjoy. You can find these Beauty Easter Eggs in-store and online at Superdrug here. Whatever next - Beauty Halloween Pumpkins? Here's hoping!